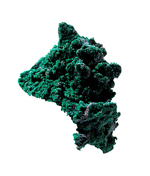 The most striking feature of any mineral is it’s colour. This can be varied and many minerals are a mixture of different colours. 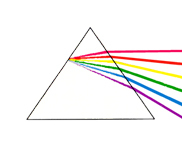 What we see as colour is a reaction between our brain and eyes. When white light (daylight) falls on a crystal, some of the wave lengths are reflected and some are absorbed. When some of the waves are absorbed, those that remain make up colour that is not white. However, some minerals such as the clear variety of quartz (rock crystal) will take in and reflect out light without changing it, hence they are colourless. 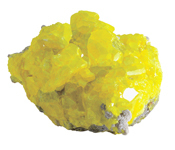 Other minerals are nearly always the same colour because certain light absorbing atoms are an essential element of the mineral’s atomic structure as in Olivine (Peridot), or Sulphur. 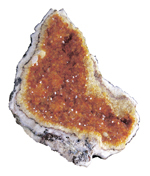 These minerals are described as Idiochromatic . An Allochromatic variation of Quartz. Light-absorbing defects in the atomic structure or impurities in the crystal can produce minerals with a wide variety of colours. These give us red, green, yellow or blue variations of Quartz, Diamond, Beryl, Corundum etc. and are designated as Allochromatic Minerals . 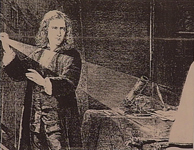 Isaac Newton (1642-1727) was the scientist who worked out that white light can be separated into seven different colours and explained the principal of light dispersion in a prism. Some minerals and crystals radiate colours similar to those seen in a film of oil or a soap bubble. This is called Iridescence and is caused by the interference of white light in the thin surface layers of the mineral.